Saturday, May 17, 2008, 10 a.m.
to bring water and hope to the Azawak of West Africa. for the people of the Azawak. To register and participate, download a registration and sponsorship form. 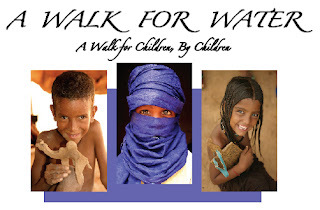 "A Walk For Water" is an official World Water Day event: For details, go to the World Water Day website.